relevant to your field and learn critical skills for success. Staying up to date in sports is a constant challenge. Athletic professionals have to be flexible, versatile and continue to grow in order to keep their edge.  Our certificate programs can help you stay abreast of the latest in your profession and take the next step in your athletic career. By pursuing a certificate, you can develop a deeper understanding of your sports profession and hone critical skills necessary in the fast paced world of sports. Rolling Enrollment to allow students to start courses at any point over the year. Self-Paced courses that make it easier to fit your education into your busy life. Curriculum created by faculty with real-world experience in sports and athletics. You can take a certificate program online, completing course work when it is convenient for you. 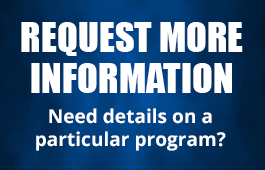 Take the next step today and register or request additional information below. Introduces students to the fundamental tenets of the law and familiarizes them with the legal structure and accompanying terminology. Designed to provide students with a theoretical base for teaching sport and sport skills with practical application. Includes the development of a coaching philosophy with an emphasis upon ethics in coaching. Also, a review of the impact of contemporary trends and issues on coaching is presented. The management of natural and man-made disasters. Designed to give students a working knowledge of National Collegiate Athletic Association (NCAA) compliance issues. An overview of NCAA rules, by-laws, eligibility, practices and procedures is presented. An overview of how the National Collegiate Athletic Association (NCAA) functions. The course examines and analyzes the by-laws, policies, and procedures of the NCAA. Specific cases are presented. Designed to help students aspiring to work with elite athletes. A thorough overview of the sport agency profession is provided.